Atomic energy has the potential to save the environment, foster innovation, create jobs, and strengthen our society. Because of the small land and mining footprint, emissions free power, and waste management standards, nuclear power is the most scalable and environmentally friendly energy source on earth. The knowledge and intellectual property developed at universities, national labs, and in the private sector has the potential to solve some of the largest challenges the world faces. 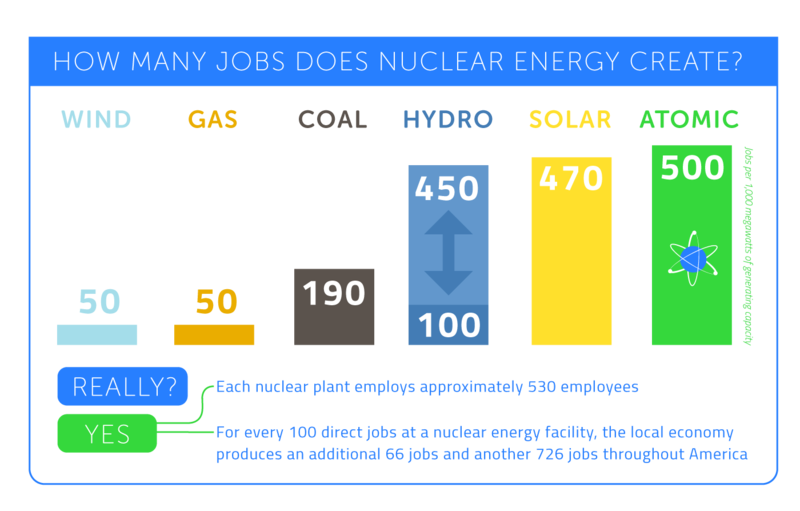 Nuclear power provides high paying jobs and tax revenue to our communities. Many jobs in nuclear power are among the highest paying jobs available to people without a college degree, and the industry is a leading employer of veterans. When a nuclear plant in Zion, IL closed in 1998 their community lost $18 million in annual property taxes from the plant the tax burden shifted to local businesses and residents, ballooning their taxes from 8.7% in ‘98, to 21.5% today. When the Vermont Yankee nuclear plant closed in Vernon, VT, they had to lay off the entire police force and secure outside contracts to keep the town safe. Nuclear energy keeps us strong and safe, both domestically and abroad. In 2014, during the polar vortex, natural gas plants froze up and couldn’t deliver electricity when needed. When Hurricane Harvey hit Texas, conventional power plants, wind turbines, and solar panels didn’t stand a chance, but South Texas Project Generating Station continued to provide uninterrupted energy for hospitals and emergency responders. Meanwhile, our nuclear submarines and carriers continue to be a source of stability in the world, assisting with natural disasters, keeping merchant vessels safe, and facilitating global trade. But what will we do with the waste? Well, there’s not that much. In fact, all of the nuclear waste ever produced from commercial power generation could fit on a football field about 24 feet high. You could fit all of the waste from your entire lifetime of energy consumption in a 12oz Coke can. We can safely store it in dry casks until we’re ready to recycle it in advanced reactors. Nuclear isn't renewable, is it? Though often not included with wind and solar, nuclear is technically renewable thanks to uranium extraction from seawater. Even without mining our oceans for Uranium, we have enough Uranium and Thorium for well over 100,000 years. 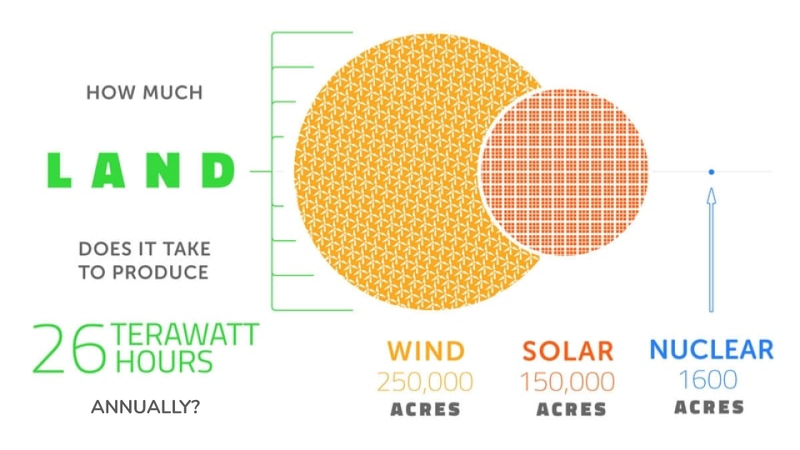 Can't we solve climate change with 100% wind, water, solar? Renewables play an important role in decarbonizing our energy portfolio, but they can’t do it alone. Studies have shown that decarbonizing with renewables alone is slower than with nuclear, so we need all the clean energy we can get. Carbon emissions in many countries correlate strongly with nuclear capacity. Besides, replacing all energy production with renewables would require the mining of 275 million metric tons of copper (100% of worldwide copper production) for 14 years. As environmentalists, we can’t support that level of mining and habitat destruction when we have better options. So why are so many people still against nuclear? Sometimes intentional lying to confuse, sometimes simply repeating incorrect information. There are a lot of myths about nuclear energy that are still perpetuated by the press, pop culture, and word of mouth. That’s why we’re here, and why we need you. If nuclear is so good, why do we need to fight for it? There are powerful forces against nuclear power. 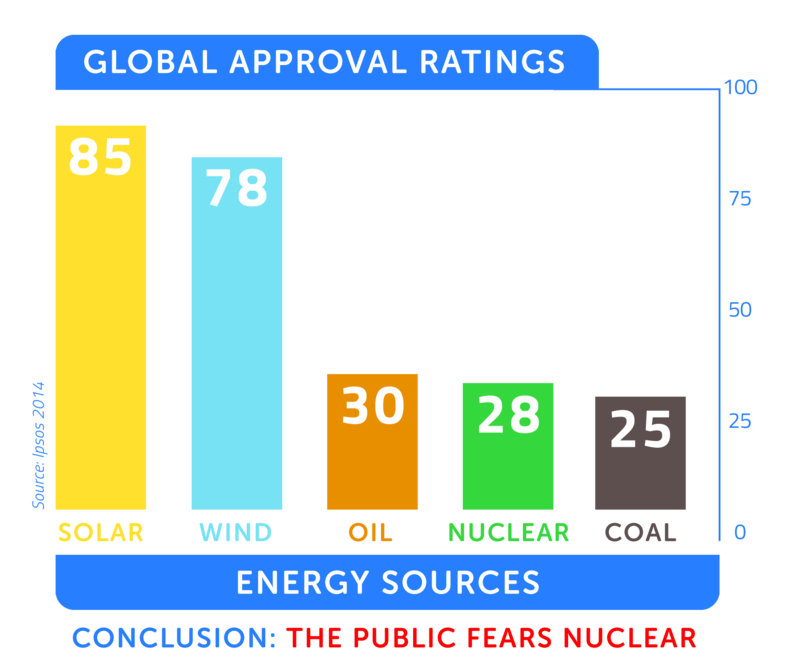 Anti-nuclear groups like Greenpeace and others have successfully blocked nuclear construction from happening and pushed regulations that hurt nuclear. These efforts are encouraged, and sometimes financed by the American Petroleum Institute... Big Oil. Why? They understand that wind and solar only generate power around 25% of the time, ensuring they will have plenty of opportunity to operate their gas-fired plants. Knowledge is power. These are a few resources we like to brush up on nuclear science and technology, energy in general, and climate change. Take a look. This gripping audiobook digs into the climate math of why nuclear energy is so vital to our success on climate change. Read by Generation Atomic Founder, Eric Meyer. George Erickson's blistering critique of uninformed policy decisions surrounding energy. Roadmap to Nowhere is an entertaining and well researched critique of Mark Z. Jacobson's "Roadmap" plan to 100% Wind, Water, and Sun. By M. Conley and T. Maloney. A comprehensive online encyclopedia for everything energy related. Created and curated by University of Calgary professor Jason Donev. Learn about nuclear energy in this information site curated and edited by TerraPower engineer, Nick Touran. A real-time visualization of electricity and greenhouse gas production. Our brothers and sisters in arms. Like their pages and subscribe to their channels. Bright New World is an Australian NGO started by environment and energy researcher Ben Heard to promote pathways to a plentiful, globally scalable energy solution, free of greenhouse emissions. Students for Nuclear is a nationwide coalition of students promoting literacy around nuclear science and technology. Berkeley, CA based environmental nonprofit Environmental Progress has done some crack research demonstrating the importance of nuclear energy to a world that brings nature and prosperity to all. Nuclear Humanist Mathijs Beckers is a writer and video blogger covering all things from nuclear science and climate change, to resource constraints of 100% renewables energy scenarios. The Mothers for Nuclear, started by two moms and plant workers at Diablo Canyon Power Plant, have been fighting for nuclear power as part of the solution for climate change all across the country.